In 1859, the fortunes of Virginia City changed overnight when miners struck silver in the the nearby desert hills of Storey County. The Comstock Lode silver deposit — America’s first major silver discovery — attracted investors, miners, and residents from all over the country in search of new fortune, and in its peak year the mine produced the equivalent of $465 million. A city of millionaires was born, and during the mine’s 30-year lifespan newly minted tycoons built operahouses, mansions, and upscale saloons along the main drag. Today, fewer than 1,000 people live in Virginia City, but it’s held onto its history, with many of the buildings from its heyday still standing. 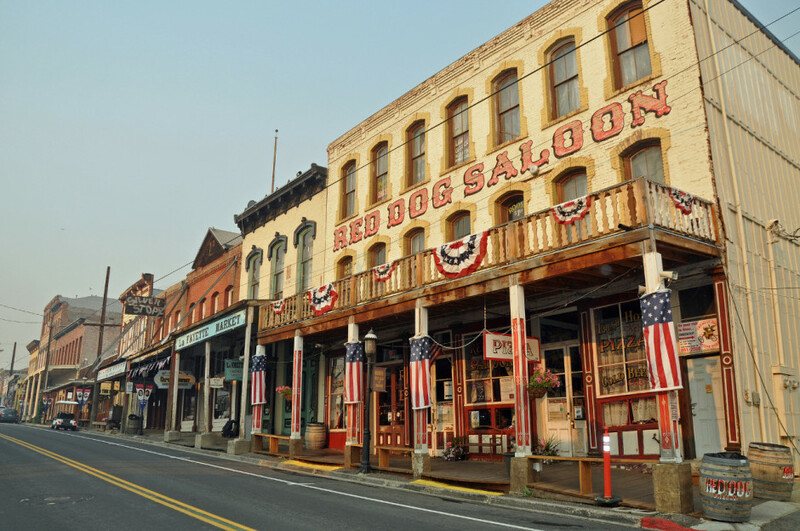 With the boom also came bar brawls, murders, and Wild West shootings, and as a result Virginia City has been called one of America’s most haunted towns. Eerie energy and ghost sightings are commonly reported, especially at the Washoe Club, a historic gambling hall where millionaires once played. Ask the bartenders to regale you with the town’s spookiest ghost stories. Stagecoach rides and mine tours are ever-popular attractions, and Virginia City’s gourmet restaurants like Core and Cafe Del Rio compete with some of the best in Las Vegas. The annual festival lineup is a huge draw for visitors, and this September Virginia City will be hosting its 56th Annual International Camel & Ostrich Races, where jockeys vie for the fastest humpback (the camels reach speeds up to 40mph). The annual zombie run, saloon crawls, and Rocky Mountain Oyster Fry also make Virginia City well worth a trip. With 18,000 residents, Elko has the largest population on this list, but at heart it’s still a cowboy community. Case in point: For the last 31 years, thousands of spur-toting cowboys from all over the nation have descended on Elko’s Western Folklife Center for the National Cowboy Poetry Gathering, when cowboy culture and the Old West are celebrated through literature, music, and other arts. Elko’s first pioneers are paid further homage at the California Trail Interpretive Center, where you can learn how the adventurous settlers made their way to the Western frontier in the mid-1800s. There are workshops at the Tuscarora Pottery School, Basque-style cuisine at the historic Star Hotel, and genuine cowboy gear for sale at J.M. Capriola. Sitting at 5,000 feet on the edge of northern Nevada‘s Ruby Mountains, Elko’s high desert climate makes for four seasons of outdoor recreation. In summer, hikers, climbers, and mountain bikers hit nearby trails with quick access to high alpine lakes, granite cliffs, and spectacular views of the Humboldt-Toiyabe National Forest. In winter, grab some snowshoes or tear up the backcountry slopes on a heli-ski trip. The hot springs at Ruby Lake National Wildlife Refuge are also nearby. Gem and antique shops, historic saloons, 150-year-old churches, and sweet cafes line the main drag of this 300-person town. Located along Highway 50 — once dubbed the Loneliest Road in America by LIFE magazine — Austin has 11 National Historic Sites covering a variety of Old West attractions including 19th-century churches, government buildings, and Stokes Castle — an old mansion modeled on Roman architecture. There’s more-distant history too; the nearby Toquima Cave was used as dwellings by the Western Shoshone as early as 1,000 BC. Detailed petroglyph artwork covers the rock walls of these sacred caves, and the tribe still uses the location for ceremonial activities. In more recent years, Austin has become a hub for landsailing, a sport where drivers maneuver sail-powered, three-wheeled vehicles around the desert at high speed. Following last year’s Landsailing World Championship in Austin, official events are slated for 2015 where spectators can watch these modern inventions whipping around on the desert flats. Twenty miles outside of town is Spencer Hot Springs, and Austin is also working to build on its vast network of mountain biking trails that offer something for all skill levels. Visit in spring for the chance to see fields of vibrant wildflowers in peak bloom. When you roll up to the rural desert town of Tonopah, halfway between Vegas and Reno, finding a place to shack up for the night is an adventure in itself. 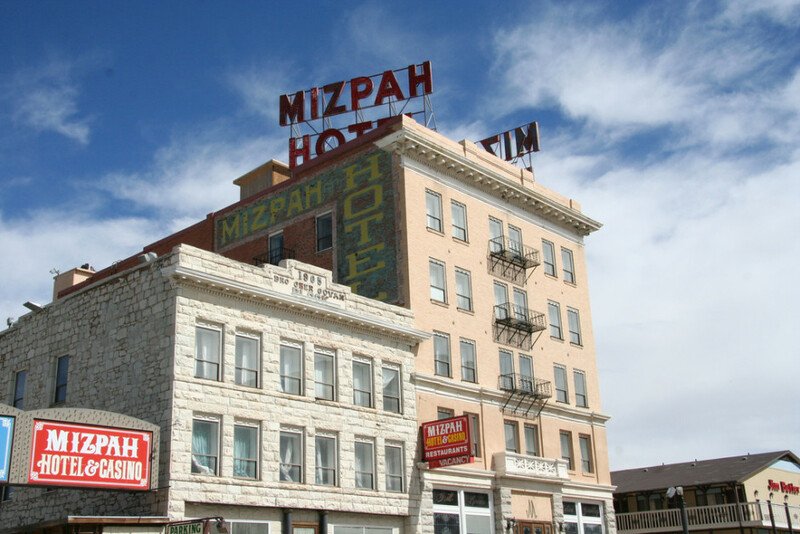 One option is the elegant Mizpah Hotel, known for its 5th-floor resident ghost, Lady in Red. Alternatively, stay at the infamous Clown Motel, where you doze off as Bozo the Clown watches over you from his menacing portrait hanging above your bed. Or grab your tent and set up camp in the nearby Table Mountain Wilderness — the stargazing opportunities here are second to none (check out the Tonopah Star Trails for more). While you’re in town, duck into the newly opened Tonopah Brewing Company for house-smoked meats and West-Coast-style pale ale. Tonopah is also home to Nevada’s only turquoise mine that’s open to the public. Those willing to get their hands dirty can have a dig while on the Royston Mine Tour. The reward? Whatever gems you can get your hands on — many visitors get lucky discovering pendant-sized chunks of the brilliant blue. 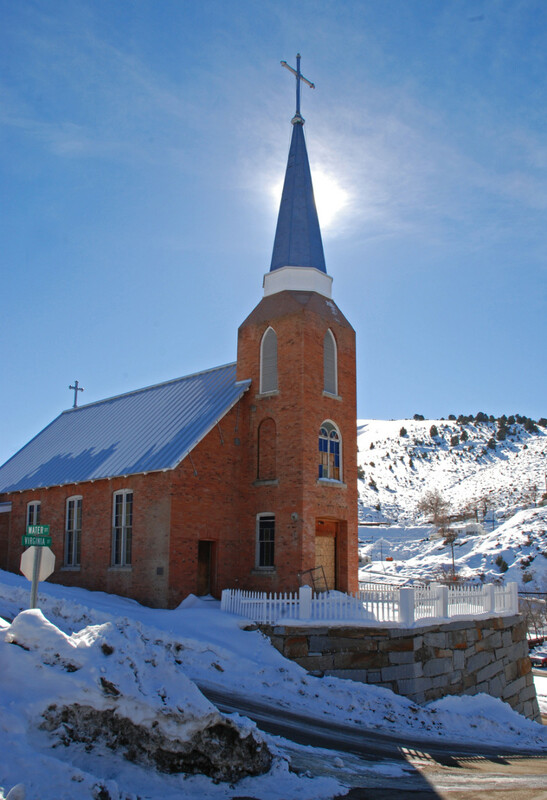 Sitting on the eastern edge of “Nevada’s Loneliest Highway,” Ely is a remote mountain town of 4,000 where history, art, and outdoor adventure run deep. In the nearby Great Basin National Park, travelers have the chance to descend into the depths of the Lehman Cave system to explore a series of limestone and marble caverns full of huge stalagmites and other wild rock formations. The park is also home to the snow-capped Wheeler Peak which, at 13,000 feet, is the second-tallest mountain in Nevada. Here you can hike dozens of trails or take a scenic drive up to 10,000 feet for sweeping views of the Great Basin. Back in Ely, take a slow stroll through downtown on the 11-block art walk. Scattered down the main drag are over 20 murals and sculptures depicting the town’s history and cultural diversity — highlights along the way include Ely Renaissance Village and the ’50s-style soda fountain that serves up old-fashioned chocolate malts and cherry-lime rickeys. Rachel, Nevada, population 75, sits on the edge of Area 51. At first glance, the town gives off a middle-of-nowhere vibe, but with common reports of extraterrestrial activity, Rachel attracts UFO chasers from around the globe hoping to lay eyes on a flying saucer. Notoriety has followed. At the heart of town is the Little A’Le’Inn, a peculiar motel, restaurant, and watering hole where alien enthusiasts convene and swap stories of the latest sightings and theories. This popular spot also sells its own alien-themed souvenirs and t-shirts — either intriguing or amusing, depending on your UFO stance. Either way, the cafe’s a fun pitstop on the way to the 28,000-acre Mount Irish Wilderness Area. Camping is free throughout the region, and the craggy limestone cliffs are prime bighorn sheep and pronghorn habitat. Rachel also draws modern-day treasure hunters who use online clues and GPS to explore over a thousand geocache sites along Highway 375, where the cache densities are some of the highest in the country.